Embrace the exotic with this women’s Excelled coat. 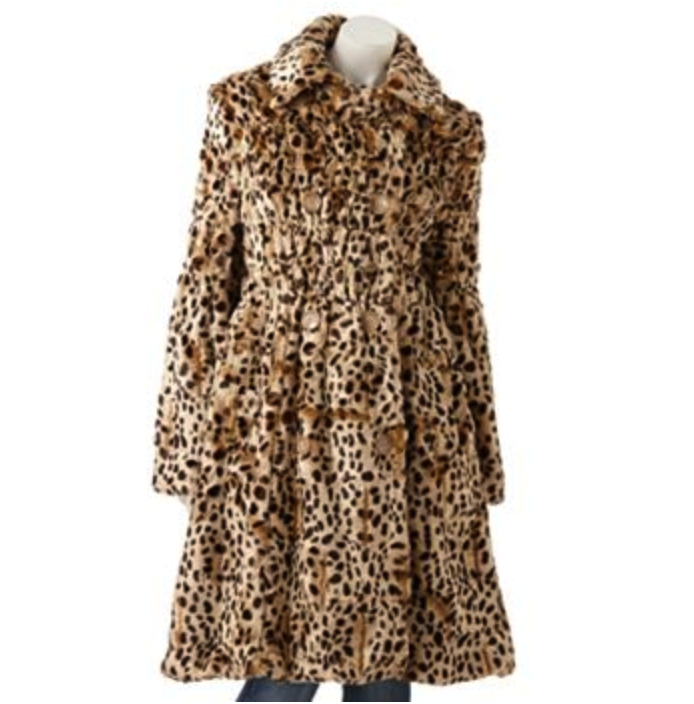 Cheetah print and faux-fur construction combine, giving you a wild look for the winter months. In cream/brown.